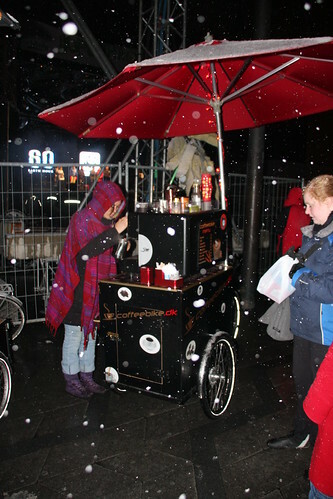 I spotted a few new cargo bike ventures this christmas season here in Copenhagen. 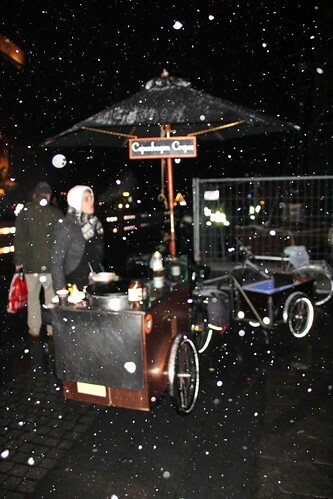 Copenhagen Crepes, above, selling ... not surprisingly... crepes. 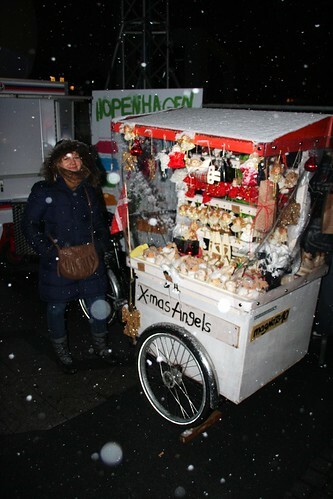 And this one, Xmas Angels, selling christmas decorations. I think I've mentioned it before on the blog but the City of Copenhagen eased up on restrictions for selling goods on the street, as well as the rules for outdoor serving for cafés and restaurants. The direct results have been a boom in the number of especially cafés that have tables outside on the sidewalk and an explosion in the variety of cargo bikes selling things. The goal with the change of laws was to create more life on the streets and I'll say it worked. The cargo bikes in the photos up top are just a few in a long line of creative ventures involving bicycles/tricyles.